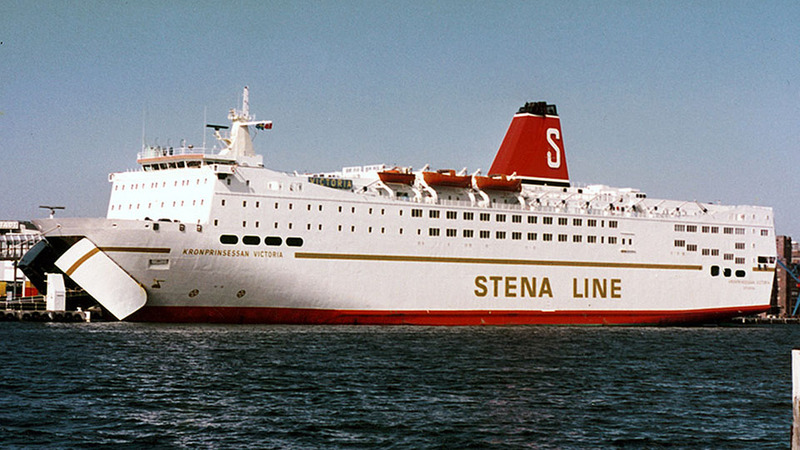 April 10th 1981: Delivered to Rederi Ab Göteborg-Frederikshavn Linjen, Gothenburg. 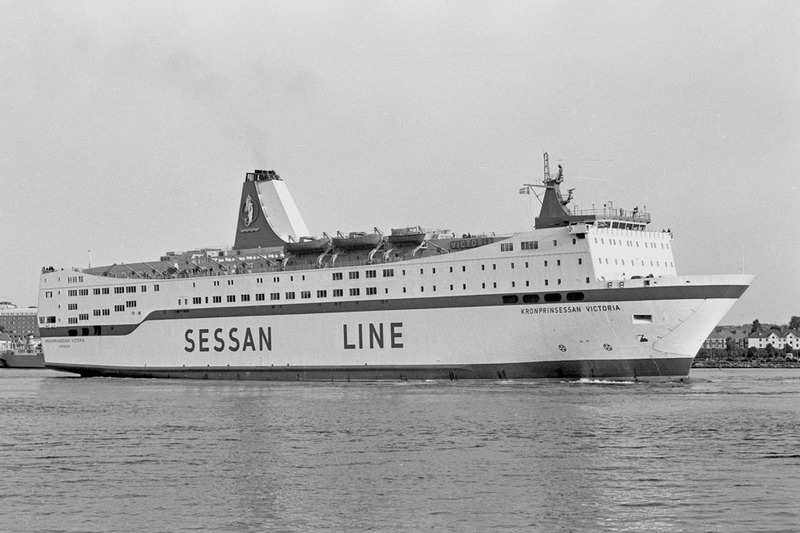 April 13th 1981: Commenced services between Gothenburg-Frederikshavn. 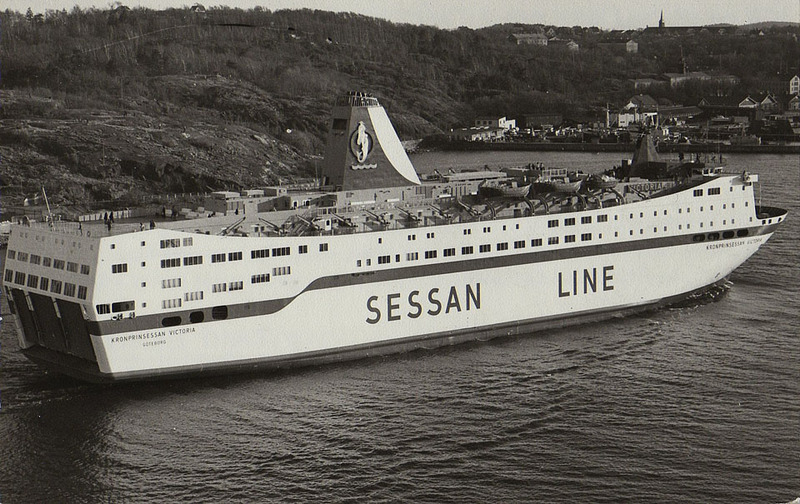 1981: Stena AB buys the majority stake in the Sessan line. 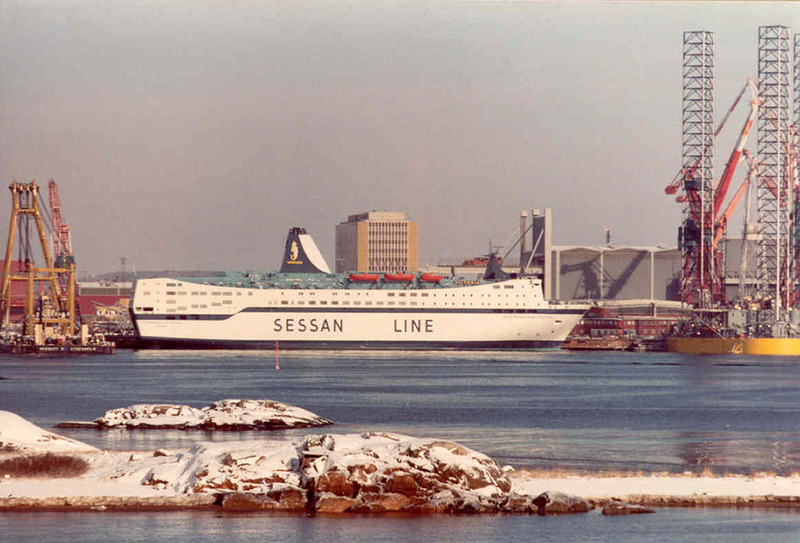 March 1982: Taken out of service for conversion at Götaverkens Cityvarv, Gothenburg to day/night ferry. 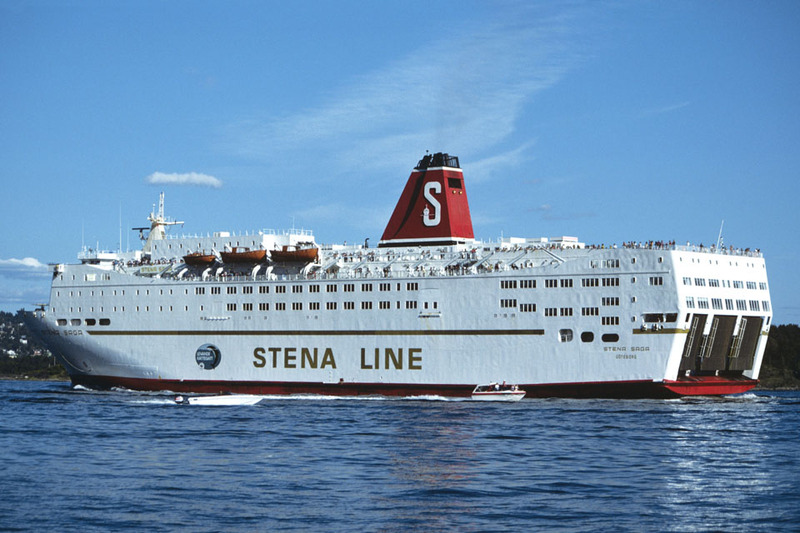 April 7th 1982: Commenced service between Gothenburg – Kiel. 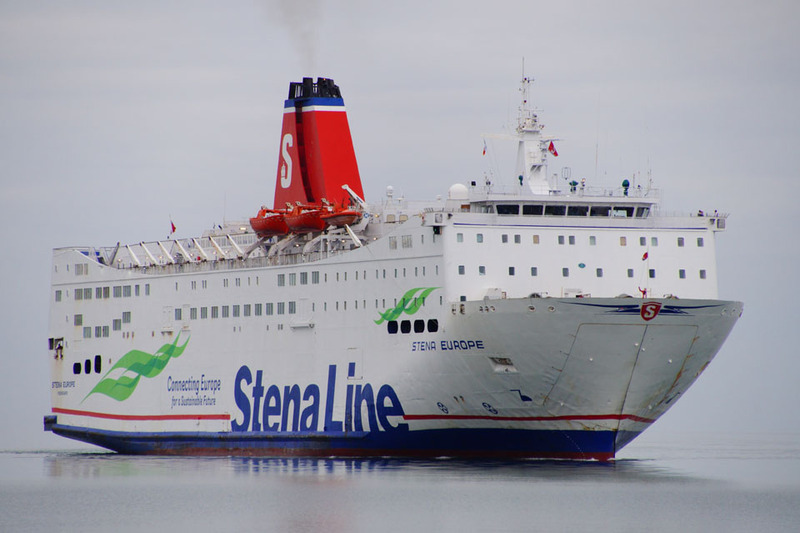 Summer season services Gothenburg – Frederikshavn. 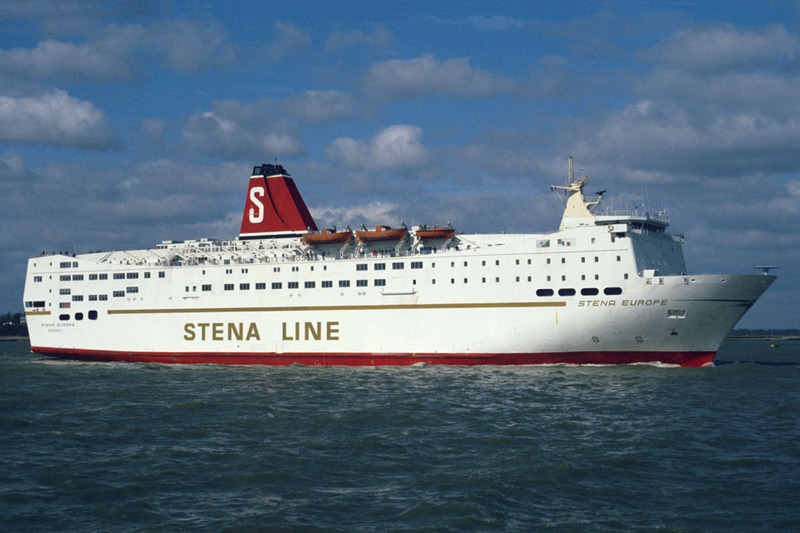 April 1988: Renamed STENA SAGA. 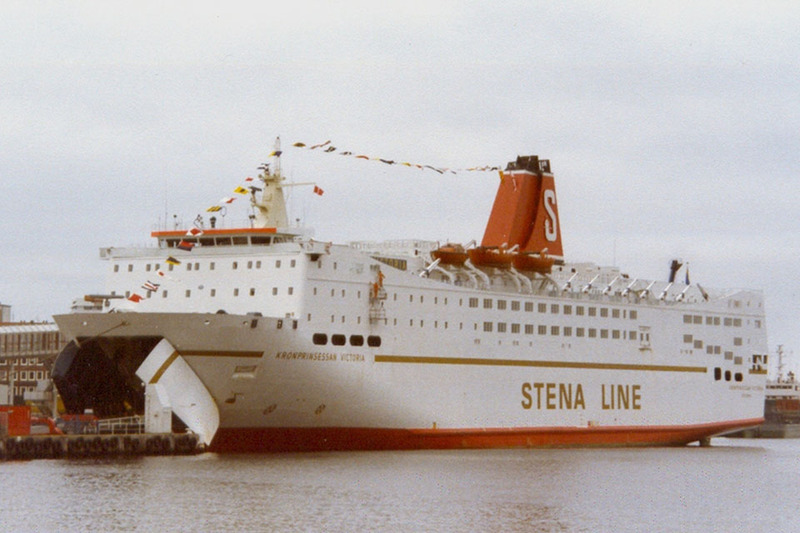 April 1988: Refit and rebuilt with with more cabins on her upper deck. 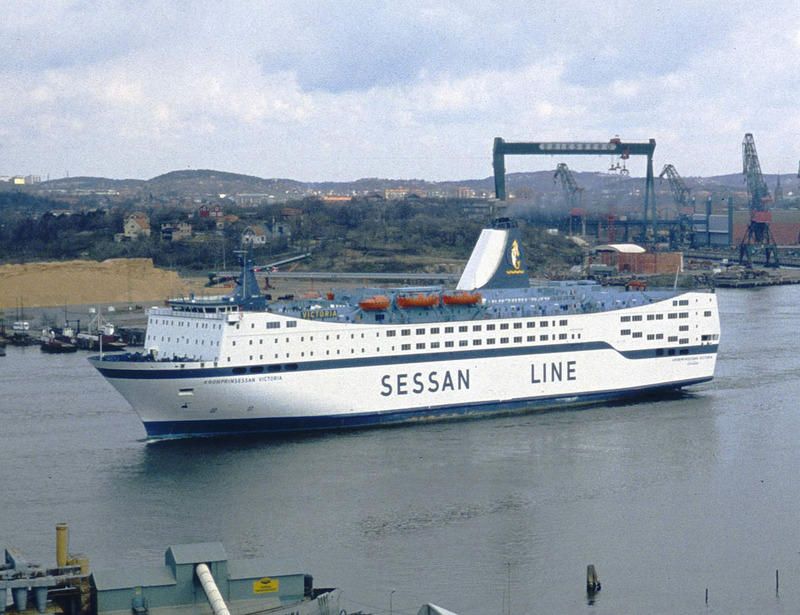 May 17th 1988: Services between Oslo – Frederikshavn and Oslo – Frederikshavn – Gothenburg. 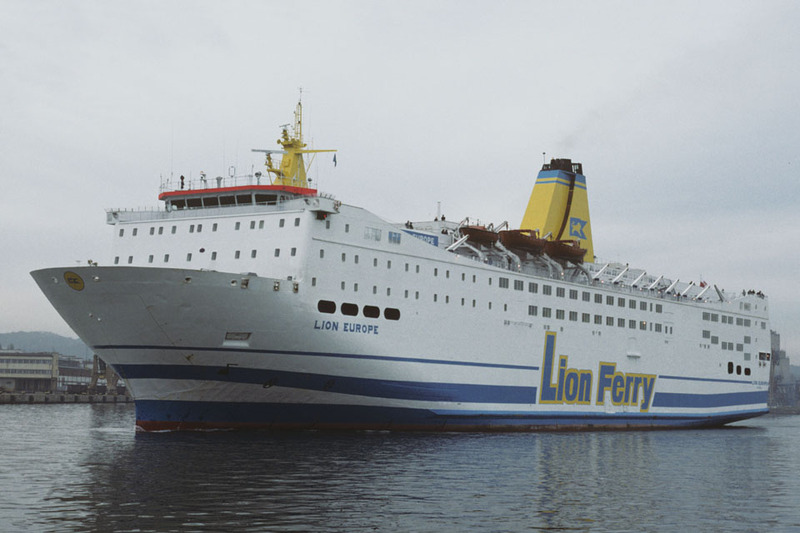 February 28th 1994: Arrived at Niehuis & van den Berg’where the top cabin deck was removed. 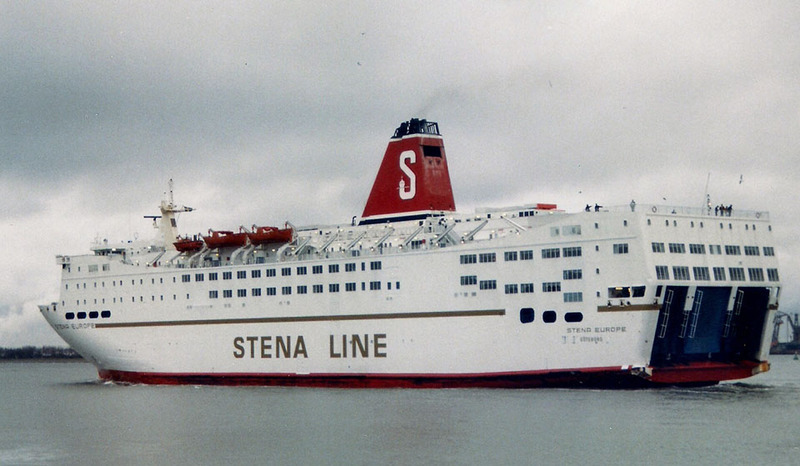 March 4th 1994: Renamed STENA EUROPE for services between Hook of Holland – Harwich. 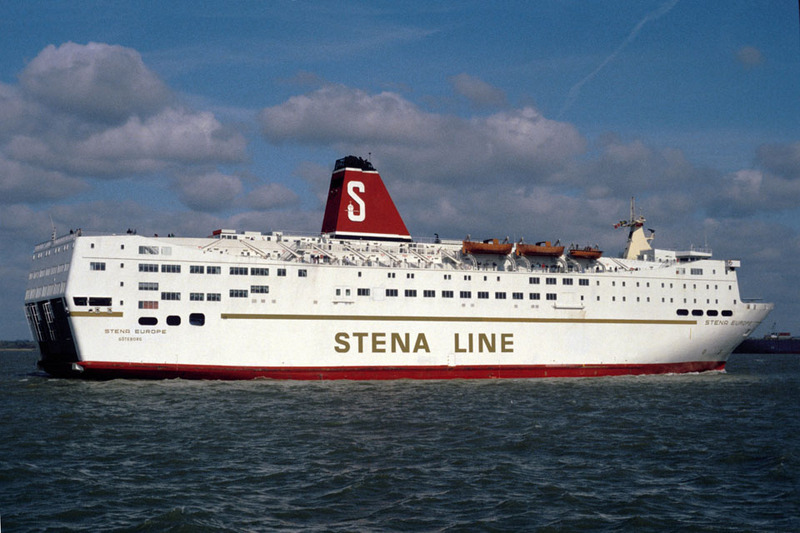 June 1st 1997: Final service between Hook of Holland – Harwich. 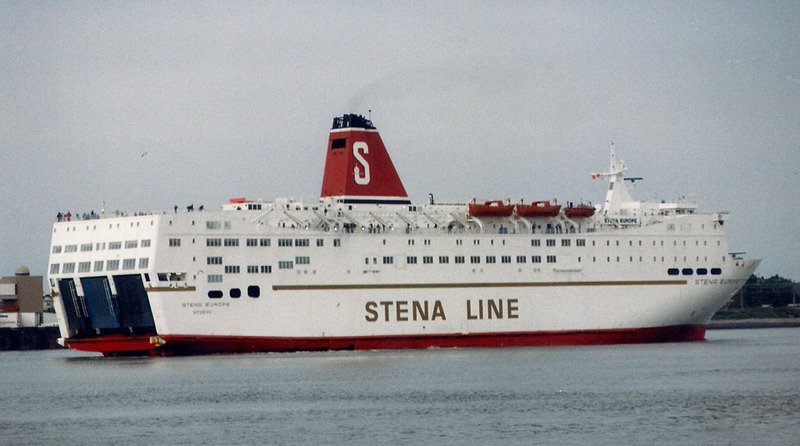 June 2nd 1997: Left Harwich and sailed direct to Wilton Feyenoord, Rotterdam for conversion. 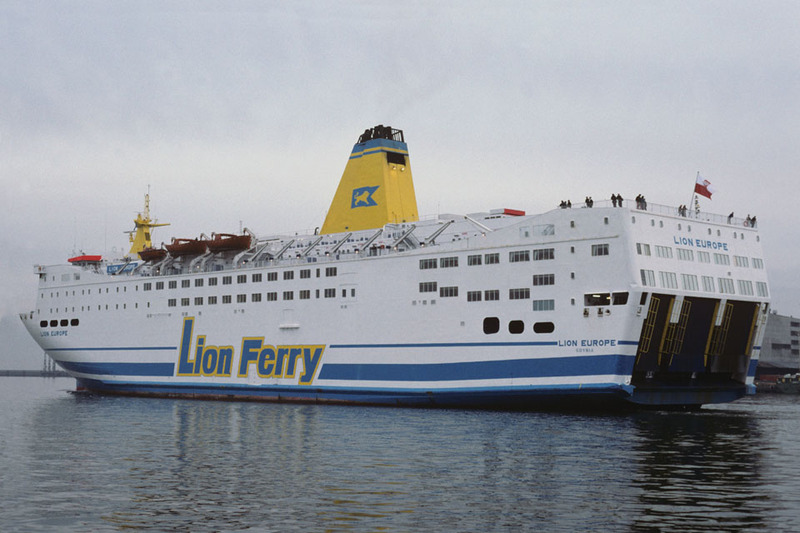 June 10th 1997: Redelivered from yard and renamed LION EUROPE. 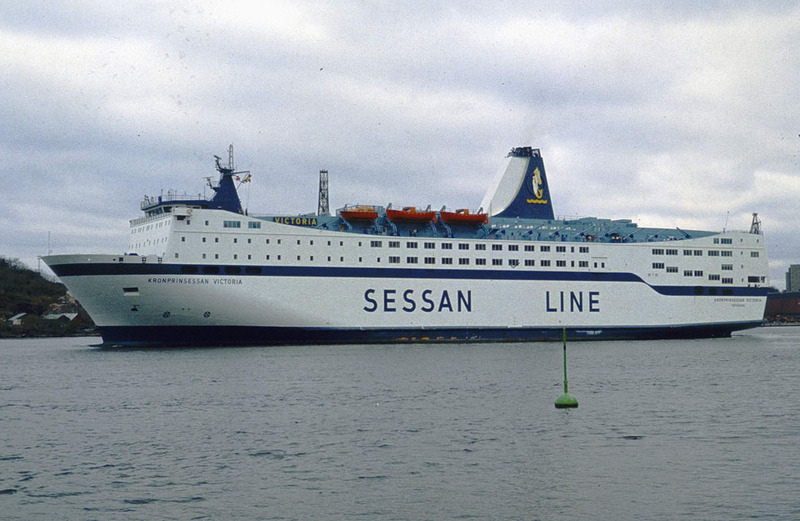 June 19th 1997: Commenced services between Karlskrona – Gdynia. 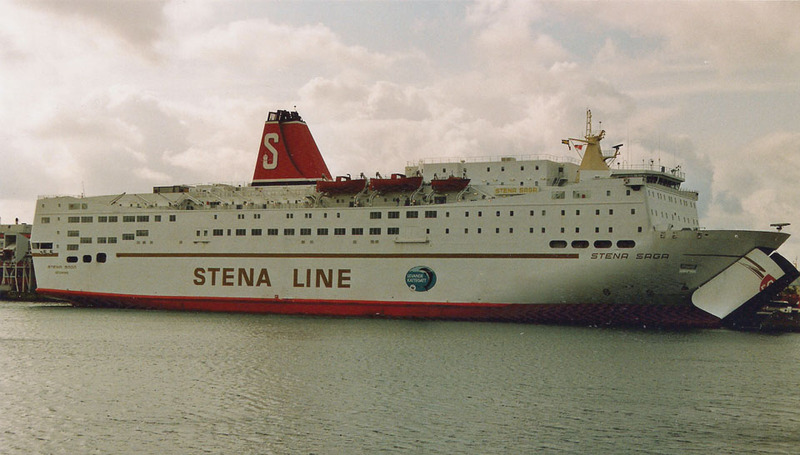 January 1st 1998: Renamed STENA EUROPE. 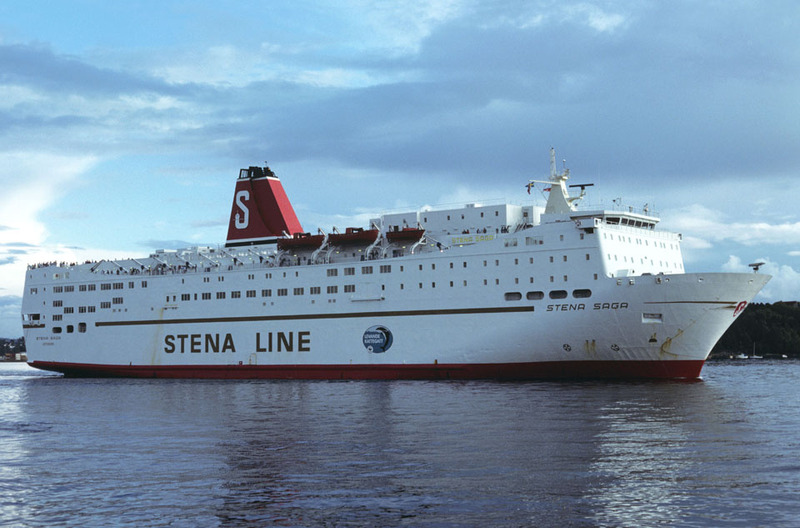 January 20th 2002: Final service between Karlskrona – Gdynia. 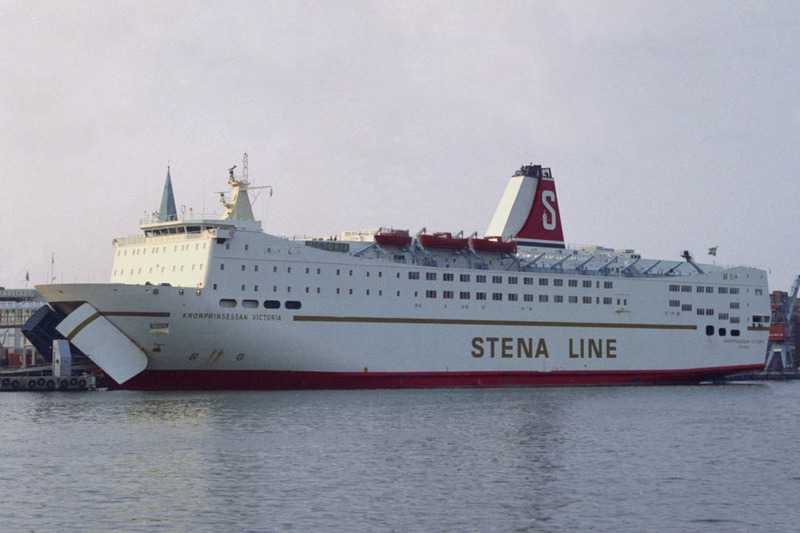 January 20th 2002: Arrived Cityvarvet, Gothenburg for conversion. 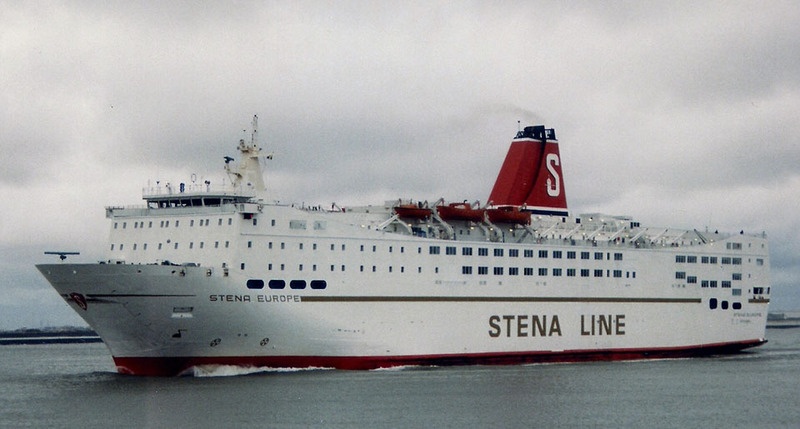 March 6th 2002: Left Gothenburg for England. 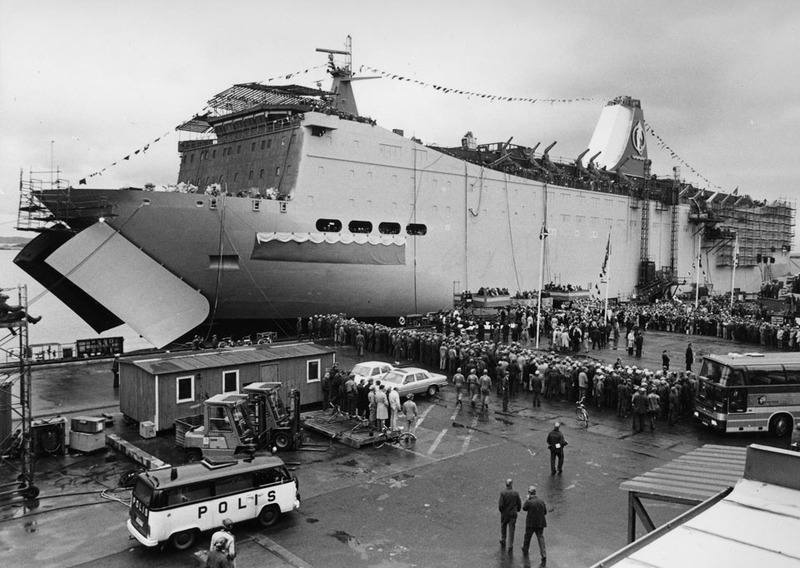 March 9th 2002: Trials in Fishguard. 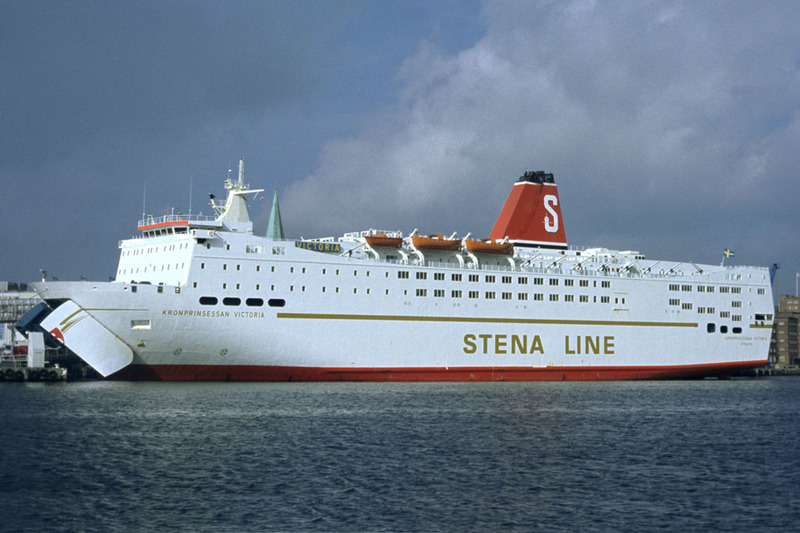 March 10th 2002: Trials in Rosslare. 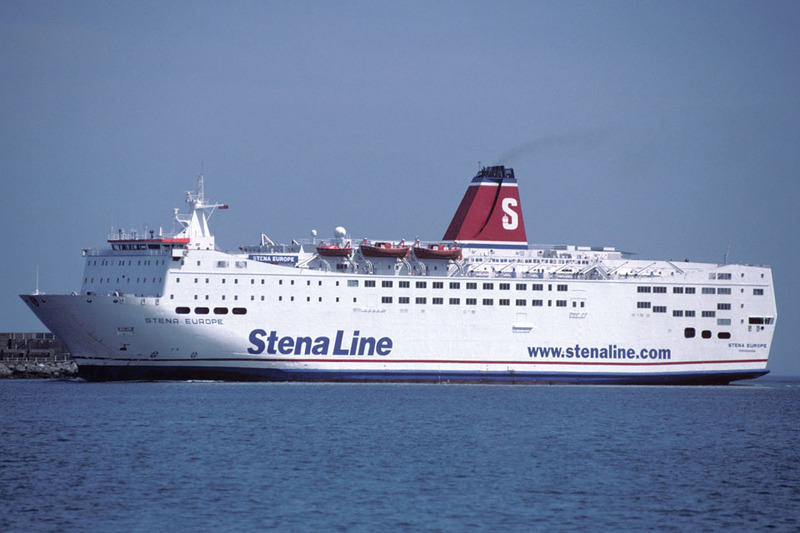 March 13th 2002: Commenced services between Fishguard – Rosslare. 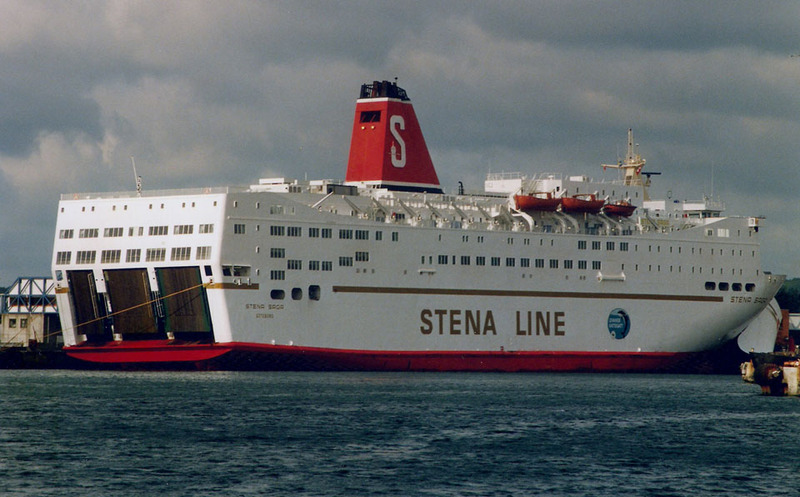 January 16th 2003: Left Fishguard for refit in Holland. 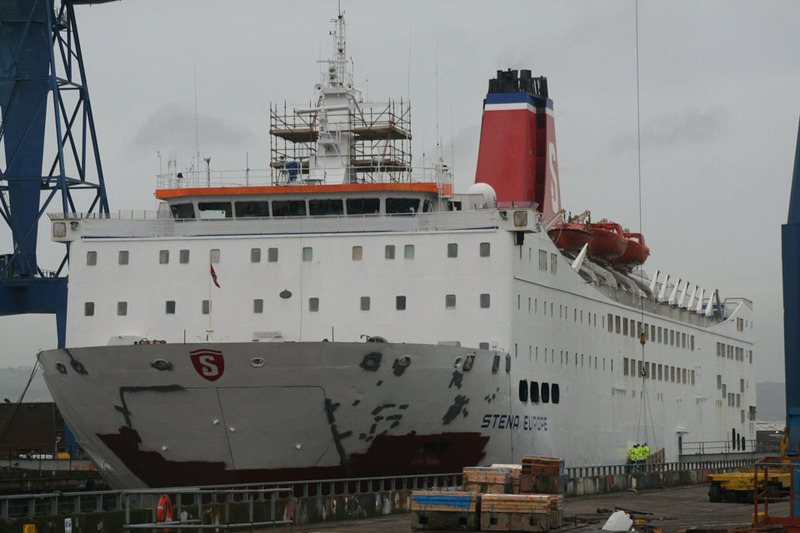 January 18th 2003: Arrived Keppel Shipyard, Rotterdam, Holland refit. 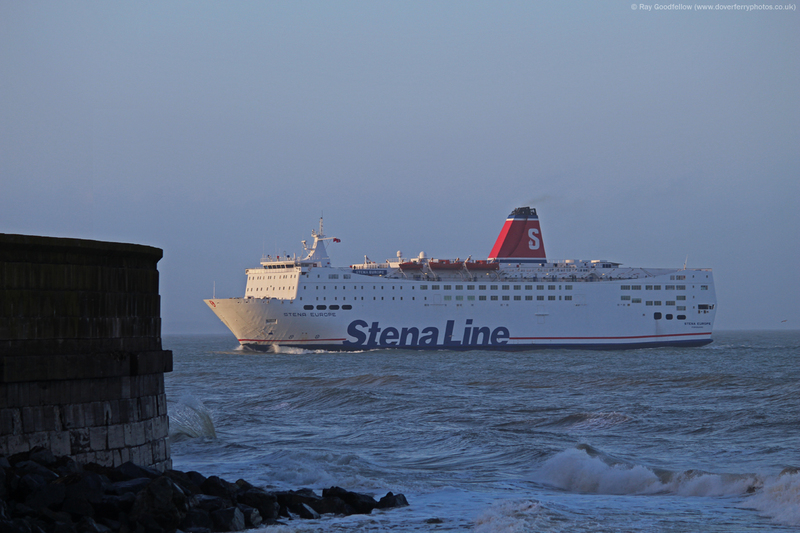 January 19th 2003: Re-entered service between Fishguard – Rosslare. 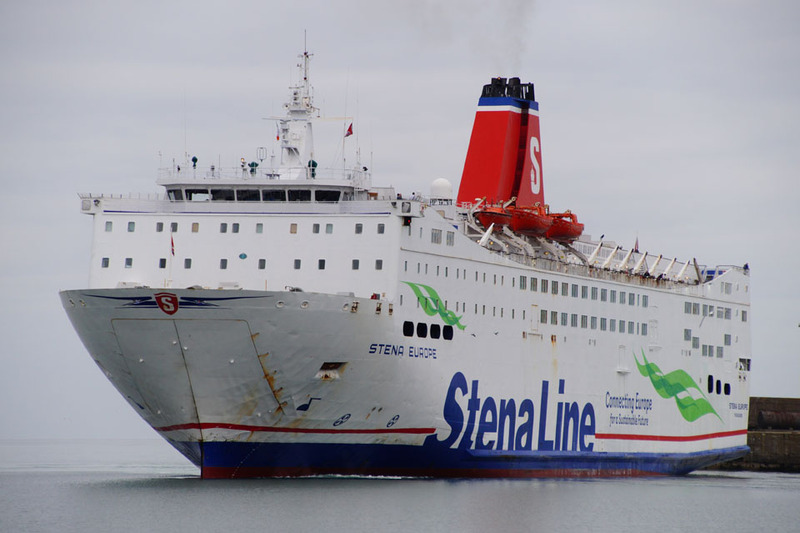 January 30th 2003: Between Fishguard – Rosslare suffered mechanical problems where cooling water failure resulting in all four main engines stopping, leading to total loss of propulsion. 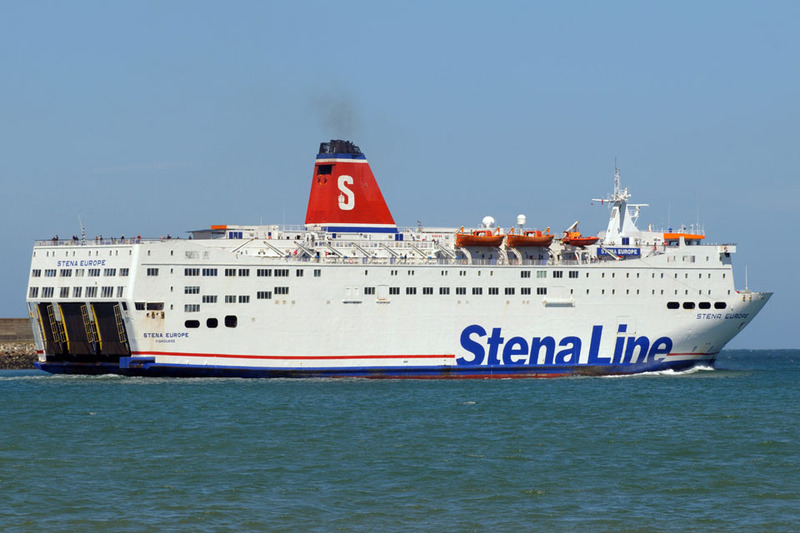 Five helicopters were scrambled to winch 155 passengers to safety, but the rescue was aborted as engineers brought the ship back under her own power. 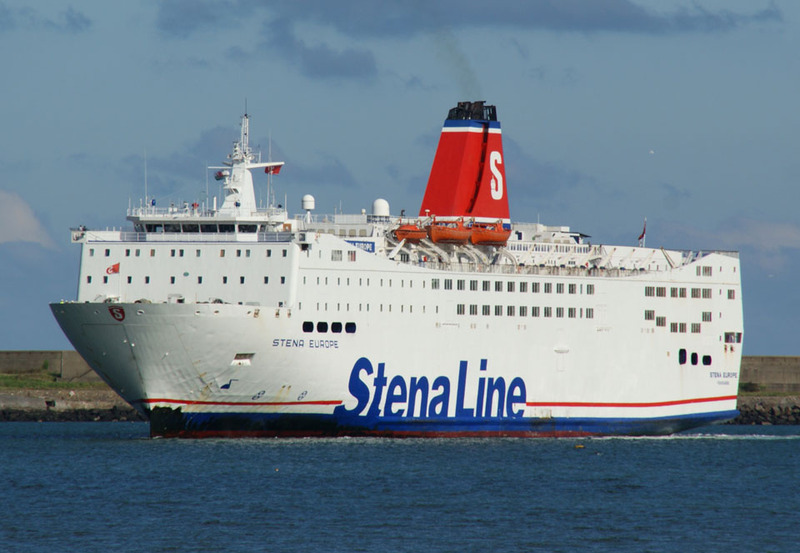 June 1st 2005 – June 11th 2005: Services between Dublin – Holyhead. 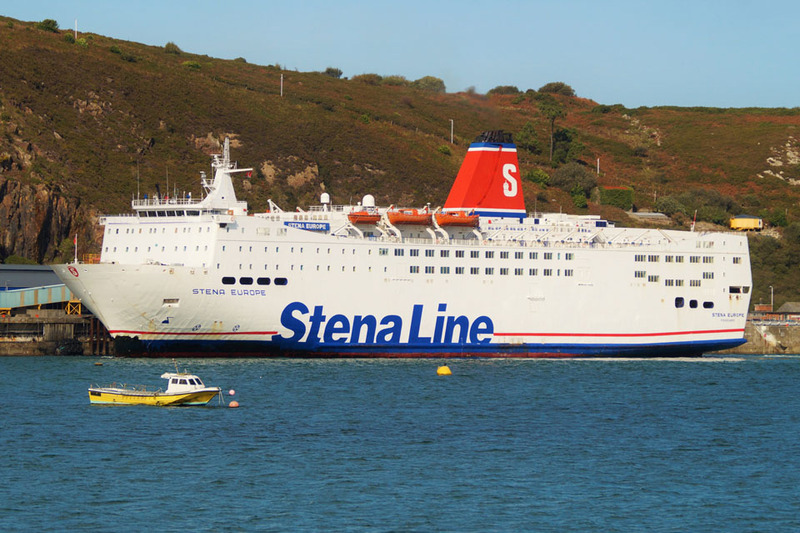 June 12th 2005: Continued services between Fishguard – Rosslare. 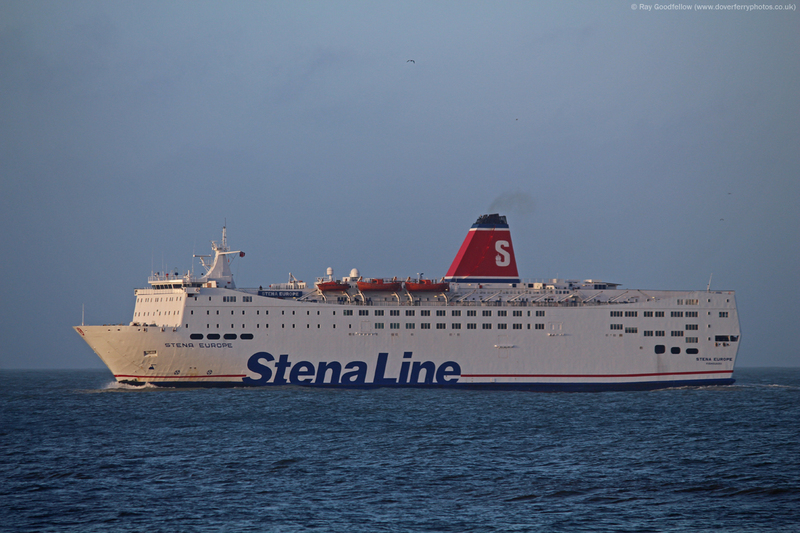 January 4th 2010 – January 18th 2010: Refit at Harland & Wolff, Belfast. 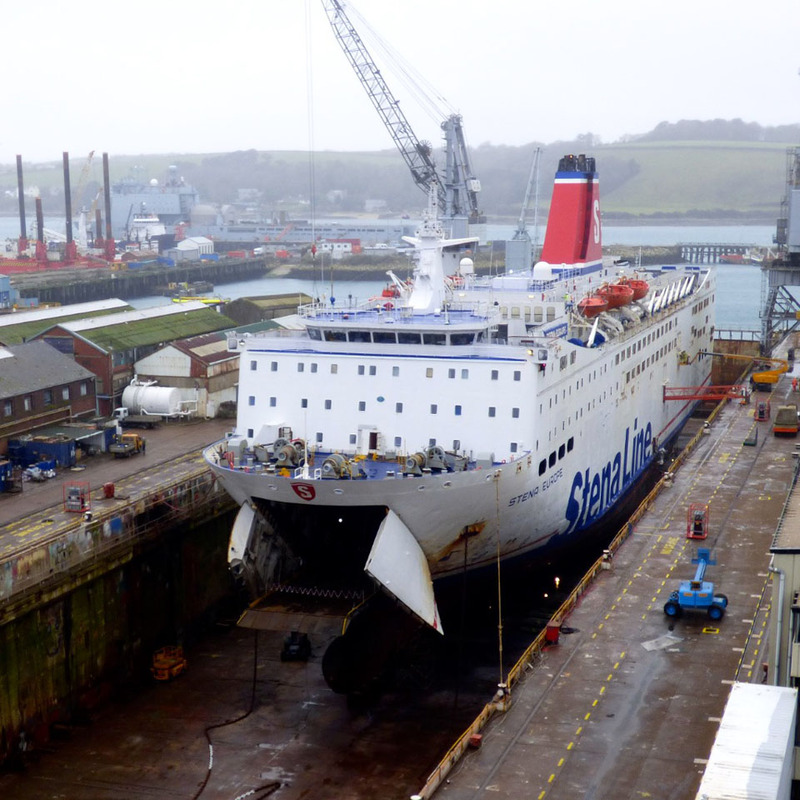 January 16th 2013 – January 31st 2013: Refit at Harland & Wolff, Belfast. All information is believed to be correct and no responsibility is accepted for any errors or omissions. All items included in this article are subject to © copyright. We would like to take this opportunity of thanking: Steven Brown, Barrie Clark, Hans Deijs, Carsten Dettmer, Tony Garner, Frank Heine, Pieter Inpyn, Bob Scott, Simonwp and Andreas Wörteler for their assistance in producing this feature.